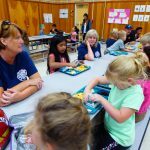 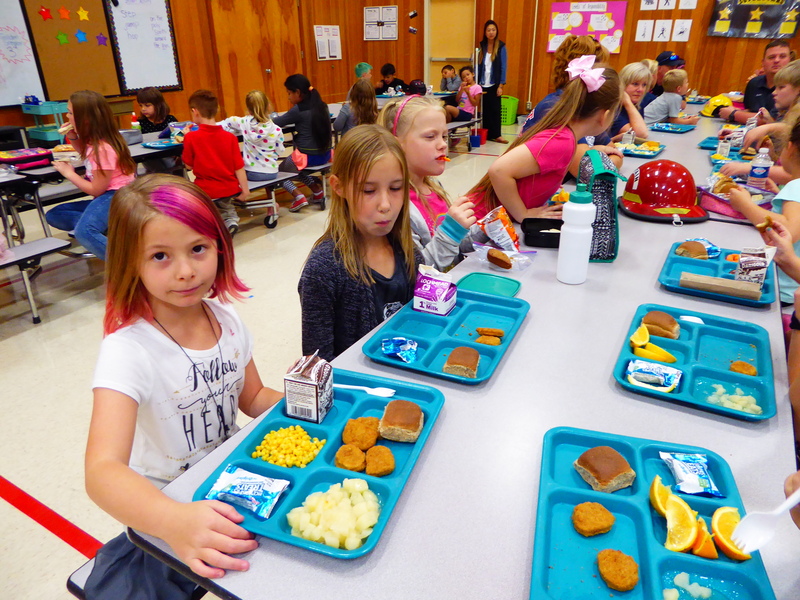 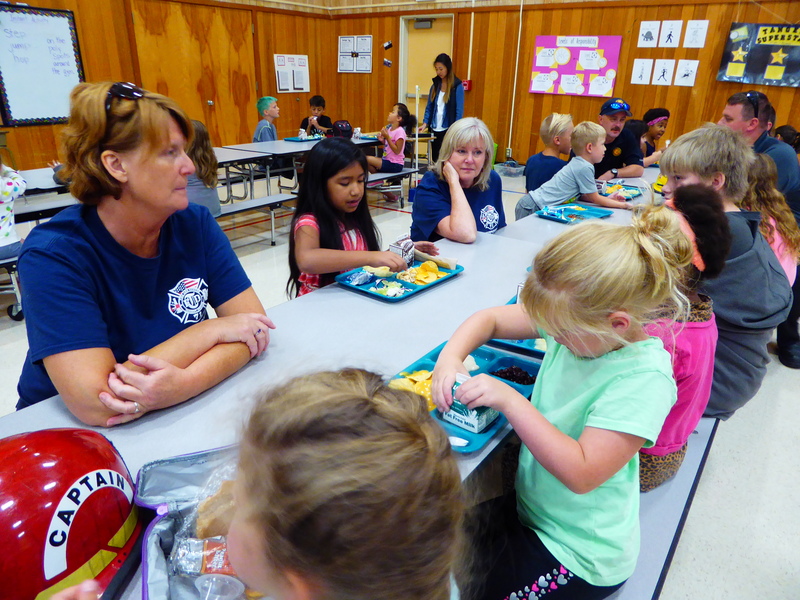 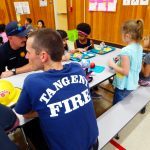 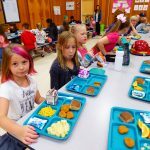 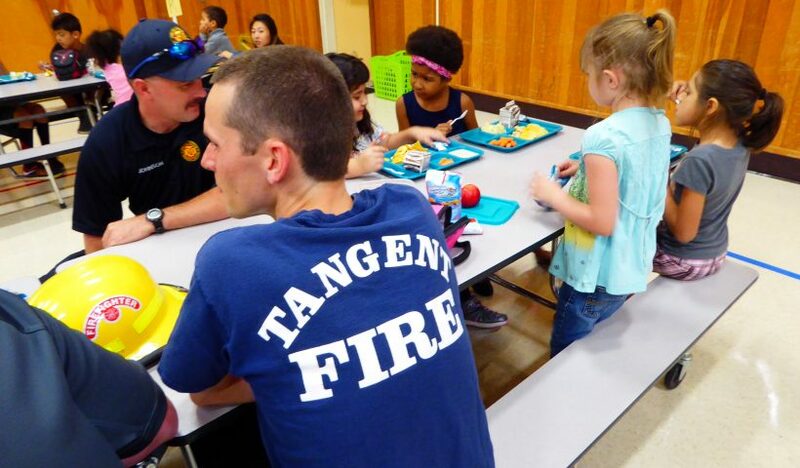 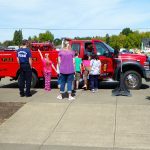 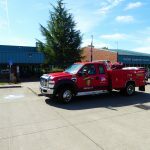 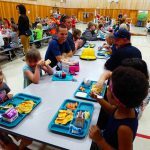 Each month the Tangent Fire department brings a truck to Tangent Elementary School for a birthday lunch with students having birthdays that month. 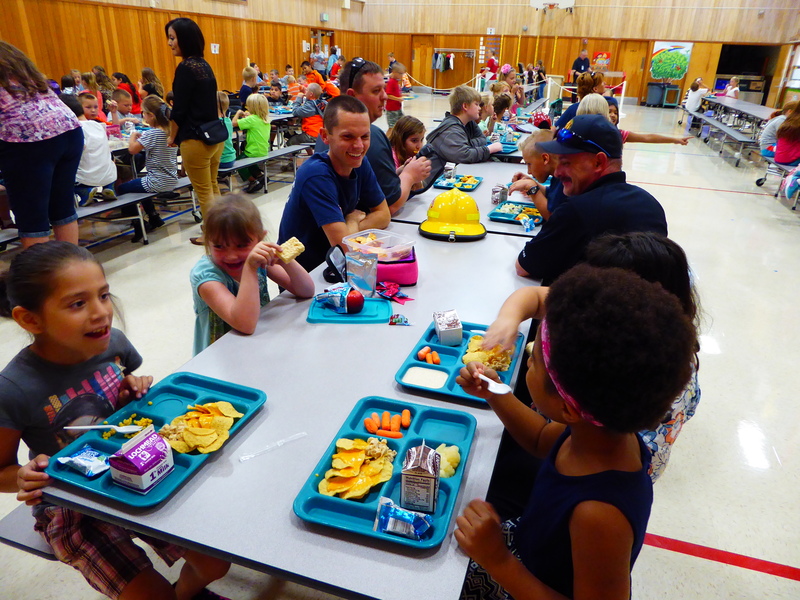 On Friday, the department honored children with birthdays in August and September. 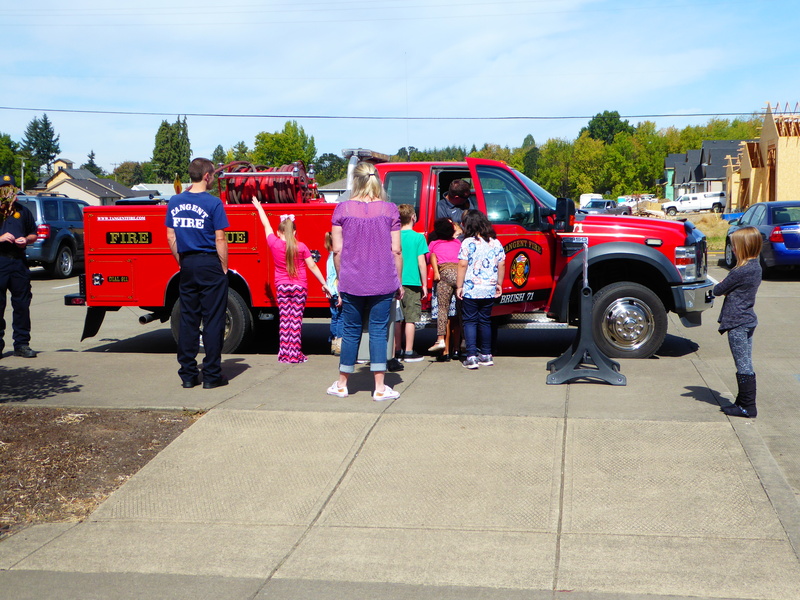 After lunch, the fire department take the students out to the fire truck. 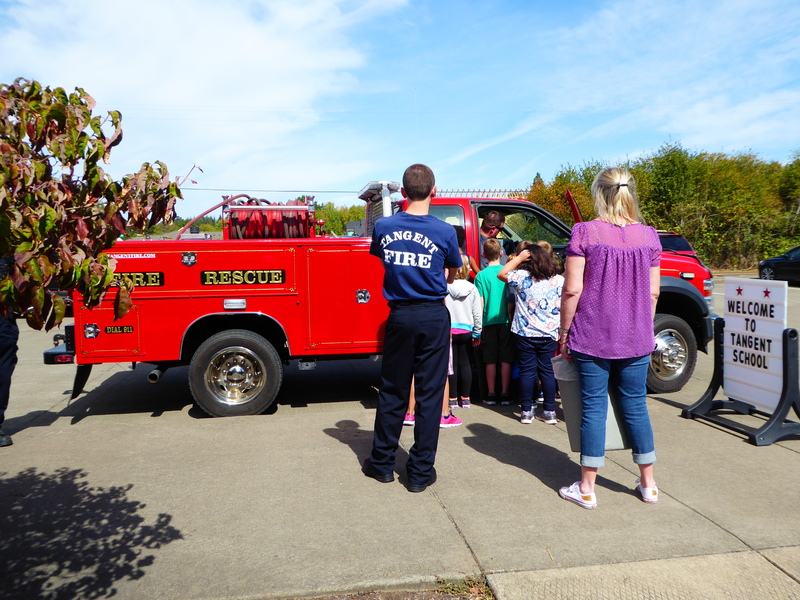 The driver explains features of the vehicle. 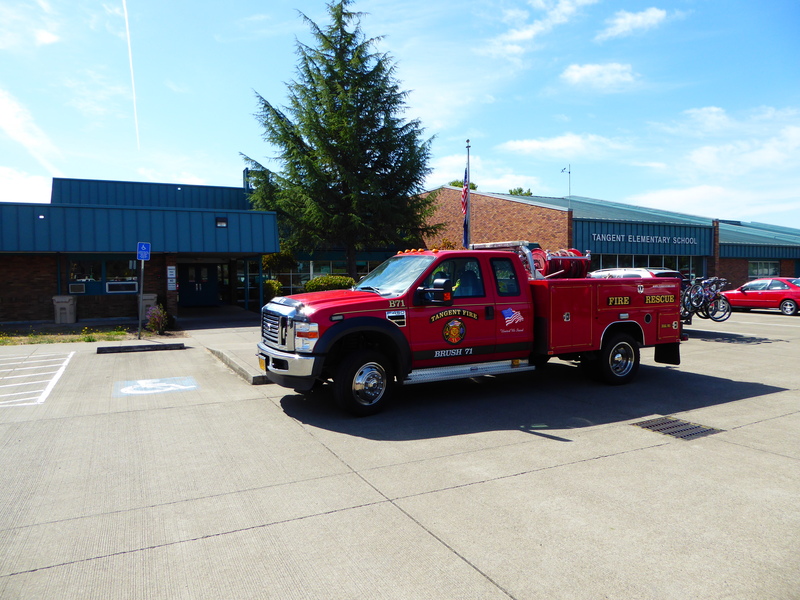 In this visit, the driver sounded the siren. 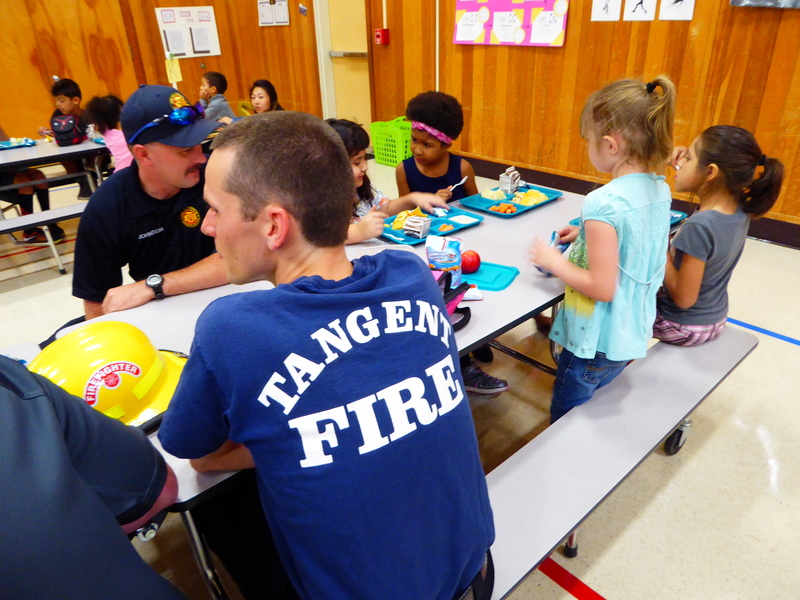 After the tour, two of the fire fighters went to the kindergarten classroom, where one of them dressed in all of the gear that he wears in the event of a fire. 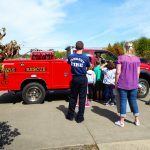 The goal was to show children what a fire fighter looks like, so they would not panic in the event of an emergency.